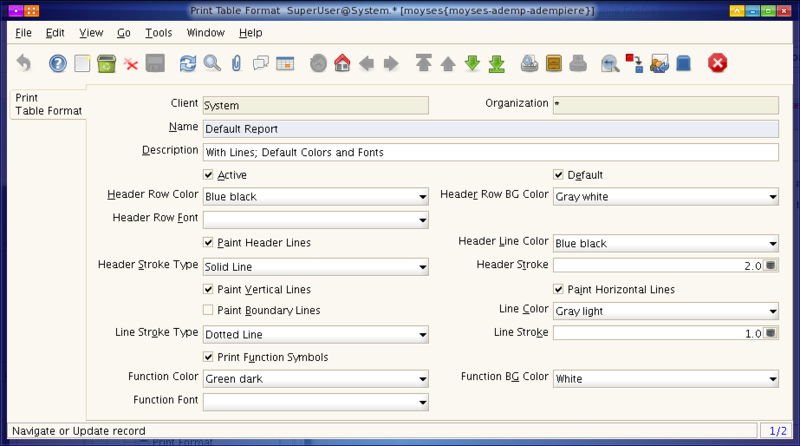 Help : The Print Table Format lets you define how table header, etc. is printed. Please note that the Report Table FOrmat is cached to improve performance. Fonts are based on the Font used in the Report; Page Header and Table Header will be bold, the Function Font is Bold-Italic, the Footer Font is two points smaller, the Parameter Font is Italic. This page was last modified on 14 December 2006, at 14:15.